As anyone reading this may appreciate, completing the Woodlore Fundamental Bushcraft course can leave you with severe withdrawal symptoms! This was certainly true for myself. So before I’d even unpacked all my gear I jumped at the chance to attend a Carving Masterclass with Ray Mears. Throughout the course Ray and his assistants were constantly on hand to offer advice and guidance, all within easy reach of the campfire kettle. 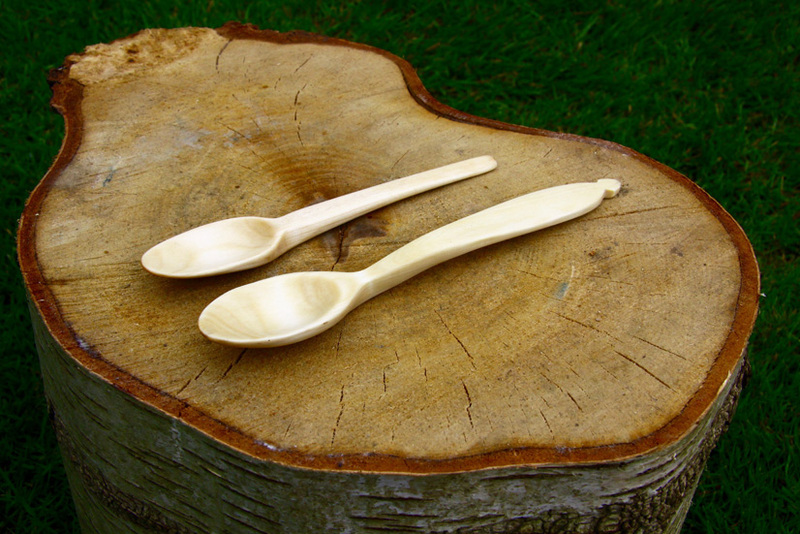 Slowly but surely we turned humble pieces of birch into spoons. Spoons?! On the surface it can seem like no big deal. But there are many valuable skills and procedures involved in the creation of even the most utilitarian of objects – skills that we are increasingly losing touch with. If you want to gain a new appreciation of simple, everyday objects, try making some of them! Huge thanks to Ray, Keith, Steve, Jamie and all at Woodlore for a truly unforgettable day. This entry was posted in Bushcraft Courses & Expeditions, Customer Posts and tagged bushcraft course, Carving, carving master class, fundamental, Ray Mears, wooden spoon, woodlore on June 29, 2017 by Woodlore Team.